New Year. Guy Lombardo and Auld Lang Syne. New York and the dropping crystal ball. My image of New Year seems traditional. But guess what? That's just the Western vision that means nothing for most of the world. In Cambodia, there are 4 different new years: Western, Chinese, Muslim and Khmer. In Vietnam, just one and December 31st-January1 is not it. 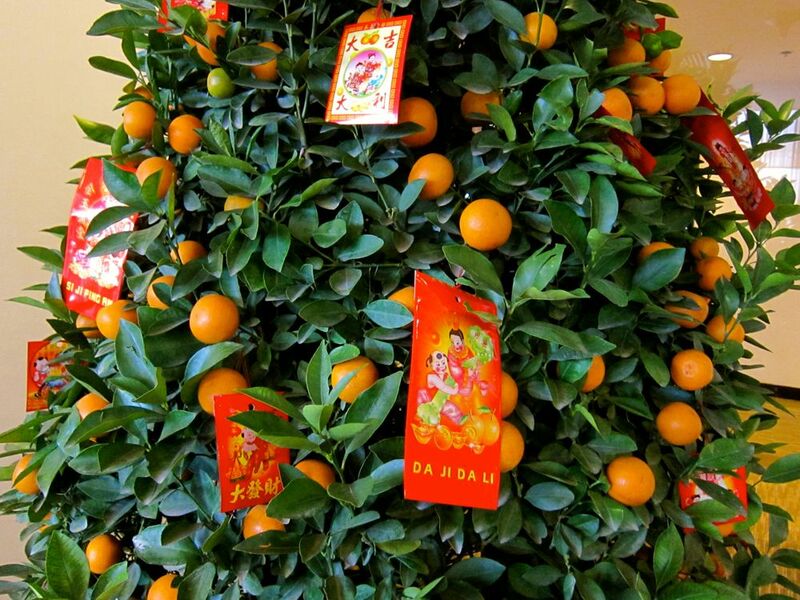 In Vietnam, it is TET which is celebrated the same time as the Chinese New Year. So, if you're looking for fun to celebrate another year, the secret is to find friends, enjoy their company and at midnight, whisper to yourself, Happy New Year. 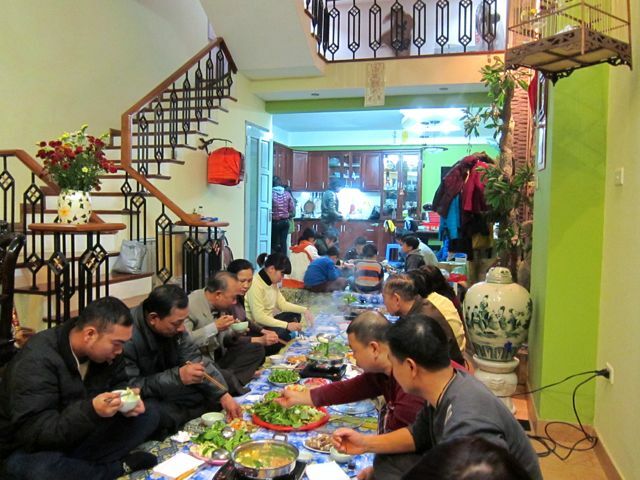 For us, we were really lucky this year to join the whole family of friends in Hanoi with all the noise and laughter of a multi-generational family celebration. 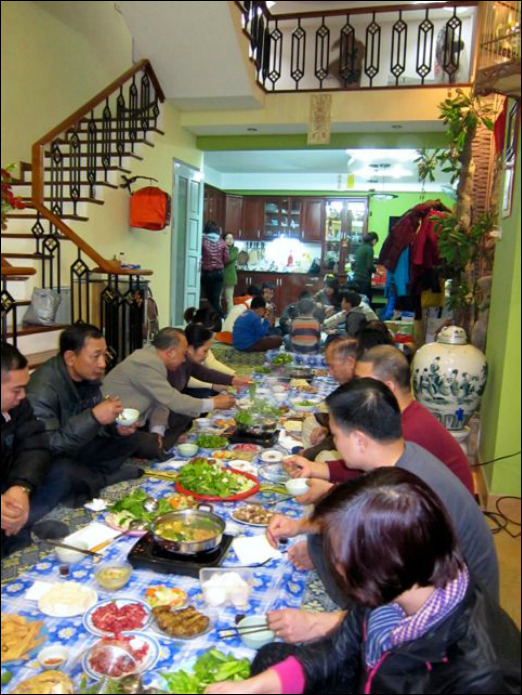 No, not of new year's, but just of being a family. They usually have this celebration every 3 months and we were told that in some villages, this family celebration could involve over 300 persons. Imagine what these 4 generations have lived through. The French, the Americans, the Chinese and all of the wars left a language remnant that, at least, one of the family could speak. But the celebration of the family is the bright collection of kids and their own circle in the top of the serving floor with their dreams of a better future kickstarted by Happy New Year. The whole family help in the preparation. They bring food or help prepare it. 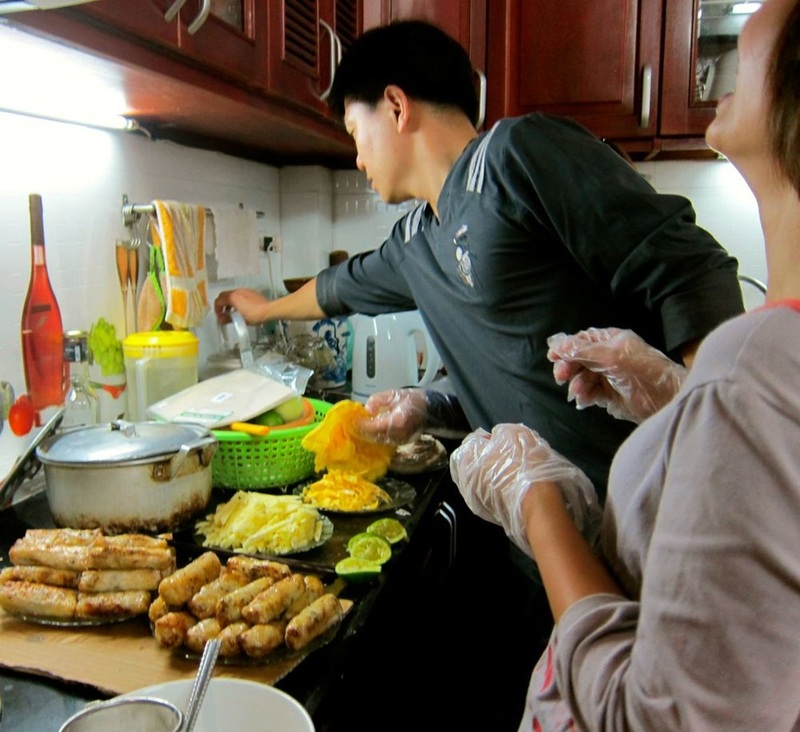 We really had fun learning how to make fresh spring roll with all the gubbins. Sliced star fruit, pineapple, meat pieces, herbs and bean sprouts. The flavours must go together but you are free to add whatever you want and just roll these in rice paper. You can see here the joy in preparing which is so much a part of the celebration. TET is Vietnam's traditional new year celebration and some of the age old practices include the family gathering but most of all, visits to the Temple. Make sure you have your Kumquat Tree. On this you place red envelopes with money inside for the kids. 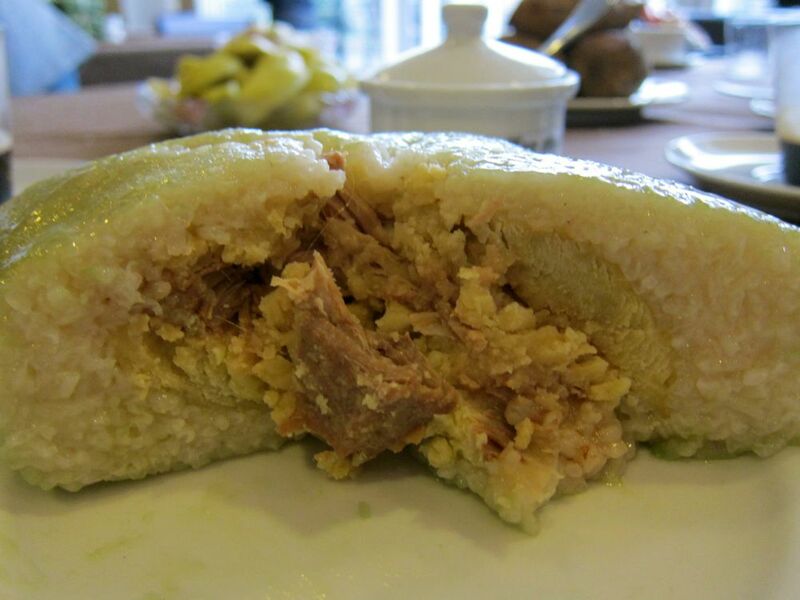 And don't forget to prepare your Chung Cake (click on the link for instructions on how to make this). To celebrate the beginning of Spring, Vietnamese New Year celebration is not complete without the cherry blossoms. Are you ready for TET? What's your favourite about TET? Do share in the Comments below.